Armin van Buuren has said of the man, “Everything he touches turns to musical gold.” Really, there can be no stronger endorsement, nor can there be a statement more accurate. 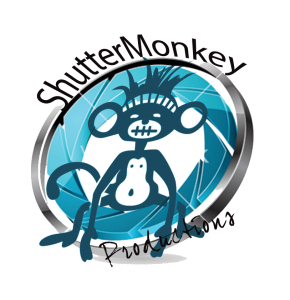 His is a classic tale – inspired at the age of 8, it wasn’t long before his life’s journey led him to audio engineering school, and ultimately, to the largest festivals in the world. As part of Protoculture’s ‘Music Is More Than Mathematics’ album launch, he will be touring the world and performing one show on each continent. It is no surprise that his African city of choice would be his beloved hometown and place of residence, Cape Town. 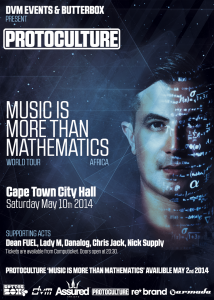 On Saturday the 10th of May, Cape Town’s iconic City Hall will be hosting the album launch where Protoculture will be supported by a lineup consisting of some of South Africa’s top electronic DJs and producers. Party-goers can expect an enthralling journey through electronic music, from house and techno to melodic and uplifting trance, complemented by mind blowing production, lighting and effects. ‘Music Is More Than Mathematics’ is an appropriate title for this exceptional album, and there’s absolutely no formula for what Protoculture does. If “awesome” could be bottled into a jar, it would be this record. Finding better descriptors is as pointless as trying to compete with his musical talents. The African leg of the ‘Music Is More Than Mathematics’ Album Launch is brought to you by DVM Events and Butterbox.